Using dash cam footage for evidence. With dash cams being an ever more popular aftermarket addition amongst today’s drivers, we thought it would be good to investigate the legalities of using dash cams as evidence for both the courts and for insurance companies in the event of making a claim. There are a lot of dash cam systems available in today’s marketplace, some record audio and GPS location while others are video footage only, and there are even some systems that have both a front and rear facing camera. When it comes to the actual footage it is important that the other vehicles number plate and drivers face are seen in the footage, this is necessary to prove the identity of the vehicle and the driver, because of this it can be useful to have as much coverage as possible and having a rear camera will make it easier to see the drivers face. And even if the offence isn’t from behind, the driver could overtake you and you can prove that they were driving as long as both number plate and the drivers face are clearly seen in the footage. 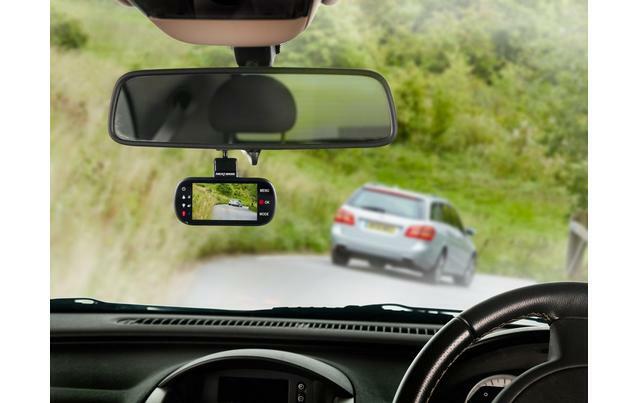 If you have installed your dash cam yourself, it is important to make sure that the device is not obstructing your field of view when driving. If doing so and police stop you, then they could impose a fine and any footage may become inadmissible as evidence in court. To avoid this happening we recommend getting a professional to install your dash cam for you or read this guide from which. How important is it to have timestamp on footage? Well this is where things get a bit interesting, if the footage is intended to be used as evidence in court then it is very important that the correct date and time is visible on the footage, the reason for this is that without it, a competent defending lawyer will be able to cast doubt over the jury as to the validity of the footage and may even have the evidence dismissed by the judge. However if the footage is only to be submitted to your insurance provider to prove who is at fault then they won’t be as concerned with the timestamp, they most likely will just be interested in the number plate being visible. The biggest manufacturer of dash cams in the UK Nextbase has set up a National Dash Cam Safety Portal that lets drivers submit any footage they have to the relevant police authorities. So far there are 19 police forces across the UK signed up to the scheme that can receive footage from the portal. However users must be aware that by submitting footage they will be agreeing to making an official statement in the future to the police. Another point that users must be aware of is that any footage submitted could be self incriminating if it shows them breaking the law so caution must be taken. Our advice is to stick to the law when driving on the roads. People interested in submitting their dash cam footage can do so here. Does having a dash cam make my insurance cheaper? In recent years car insurance companies have been installing black boxes in drivers cars to help lower insurance premiums. This has been mainly introduced for new drivers as the insurance companies can make sure they are driving safely on the roads and not posing a high risk to other drivers. Some car insurance companies have recently introduced small discounts for drivers that have dash cams installed. This helps to encourage dash camera use and also helps insurance companies when investigating causes of accidents and which party is at fault. The other benefit is that drivers may drive safer if they know they are being recorded however this is yet to be proven. If your insurance provider does provide a discount for using a dash cam, they may ask you to have specific ones installed from their approved garages, it is worth checking all the details with them before taking out your insurance policy. Unlike the laws in the UK, some countries in Europe have strict laws regarding dash cam usage and they are even banned in some places and using them can land drivers with big fines. It may seem strange to UK drivers as the use of dash cams is widespread but there are certain laws in Europe that forbid their use. Each country has their specific rules and punishments for using dash cams when driving. For example in Austria they are completely banned and repeat offenders can face fines of up to £22,000. In Germany drivers can use them but cannot share the footage publically unless all faces and number plates are completely obscured. In Switzerland they are legal but drivers must be made aware that they are being filmed and they can’t be used for entertainment or documenting journeys. They also have laws forbidding filming members of the public that aren’t involved in an incident. In France they can only be used for private use and footage must be sent direct to the police in the event of an incident. To use your dash cam footage as evidence in court, it is best practice to have the correct date and time on the footage. It is not as important for insurance companies but will be preferred. You can render your evidence useless if your dash cam in installed incorrectly. Having a dash cam may make your car insurance cheaper. Be aware of the local laws if you plan on using your dash cam driving abroad.